Marianne Elliott - best known for The Curious Incident of the Dog in the Night-Time and War Horse - directs a new take on Stephen Sondheim's Company at the Gielgud Theatre. 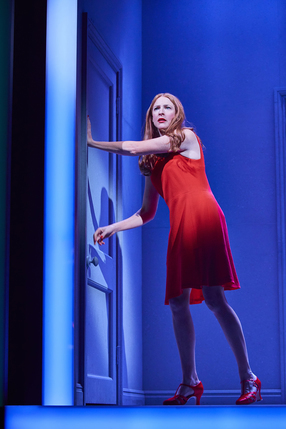 Staged this September, it will re-cast the lead, Bobby, as a 35-year-old woman named Bobbi, played by the award-winning Rosalie Craig. In this adaptation, Bobbi rebels against her married friends, who all think it's high time she settled down. Broadway star and Olivier Award-winner Patti LuPone returns to the West End for the first time in 25 years to star as Joanne and former Great British Bake Off presenter Mel Giedroyc, who last appeared on the London stage in Much Ado About Nothing at the Rose Theatre in May 2018, plays the role of Sarah.